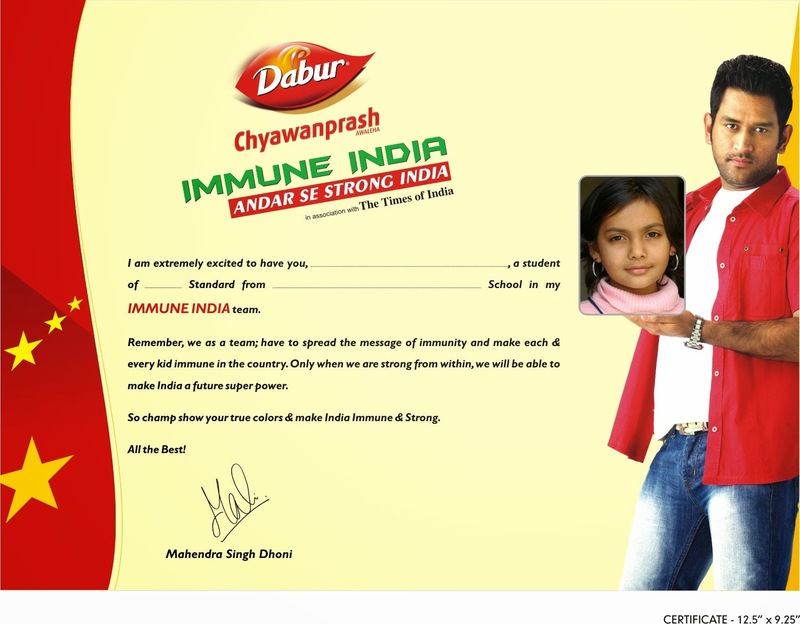 Dabur Chyawanprash has started an initiative wherein they are searching for most immune school towards building a healthier generation and a healthier nation. Immunity is not something new to Indian Diaspora. We very well know what it means and why should we have a stronger immune system to fights against any harmful micro organism attack to body. The same is about Chyawanprash. It is a Jam like mixture various herbs, spices and other edible ingredients that are picked as per science of Ayurveda and made into a concoction as per following the traditions of Ayurveda. It claims multiple health benefit and is popoular in country like India and others. The most pertinent claim that it carries is to safeguard and build the immunity system of our body against common and rare diseases. The product was earlier targeted essentially towards ageing and olderly people as their body immunity starts falling after a certain age, making them prone to weakness and bad health. Off late, the shift has shifted moe towards the young adults market where it is emphasized to inculcate development of immunity right from the tender age i.e. childhood. Off course, the proposition is logical as a healthy child makes a healthy generation and a healthy nation. Chyawanprash was earlier available in a single, simple pack product in market. The changing market and ever changing needs and palate of humans has lead to enhanced offerings in colorful boxes with different flavors from Mango to Mixed fruit to a sugar free variant for diabetic and diet conscious people. A mother try to do best for her child. She leaves no stone unturned to make her child happy and healthy. However, a lot of her efforts are based on her child's adherence to them. For example- you can take a horse to river but can't make him drink water. Same happens with child. Mothers pack their lunch box with nutritious food but they exchange it for some junk food from other children in school or don't eat the food inside, dump it somehwere and bring empty boxes to show their mother their fake earnestness. They also drink water from unknown resources or unfiltered sources like direct from tap etc. Be it winter or breezy weather, if they do not want o wear woolen, so they do not. No matter how much a mother force them to, they will end up taking it off and doing their wishful. So mothers all over the world schemed and plotted and finally come up with a solution- Dabur Chyawanprash. They cannot ensure if their child is adhering to their usual guidance w.r.t health or not, they ensure that if the child has his/her two tea spoon of Chyawanprash everyday, he is sorted. This indeed is a simple and a healthy habit to foster the development of immunity in child. If we do not leave by example or lead with dignity, how do we expect our generations to be healthy, wealthy and wise? Health is true wealth. Let us join hands and make #ImmuneIndia a success. Thank You so much Aparna! Nice Review. All the best for the contest. Good nicely composed post i NumeroUnity, with facts and good choice of words. I am Maithili Sawant and I work in the marketing team of Four Fountains De-Stress Spa. Four Fountains De-Stress Spa is India's largest chain of affordable day spas and we are located across 10 cities. I just went through your blog and it was a wonderful read. It was something interesting and refreshing to browse through.